Founded in 1985, The Gitanjali Group of Schools was one of the first schools in the country to offer high quality educational value. The Gitanjali Group of Schools has five campuses located in central Hyderabad city. Gitanjali Schools offer values-based education with our unique blend of academics and an abundance of complementary co-curricular activities. 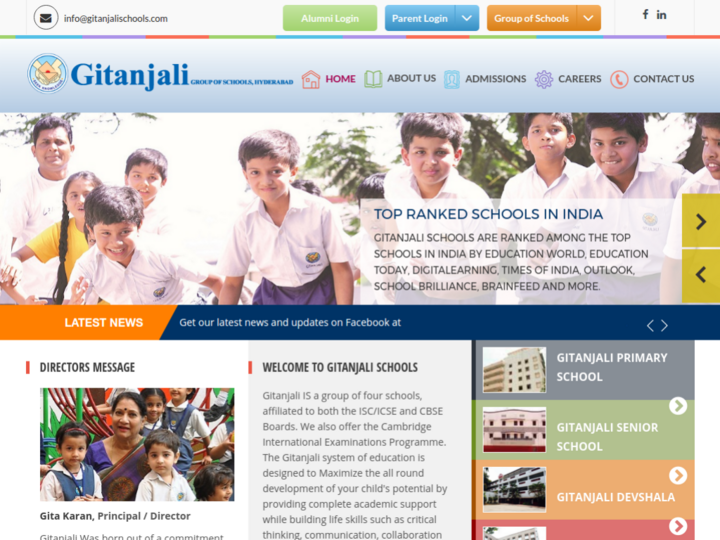 Gitanjali Schools have consistently ranked among the top day schools in India for the last five years.